Sunny yellow rules the day in this cheerful bouquet. 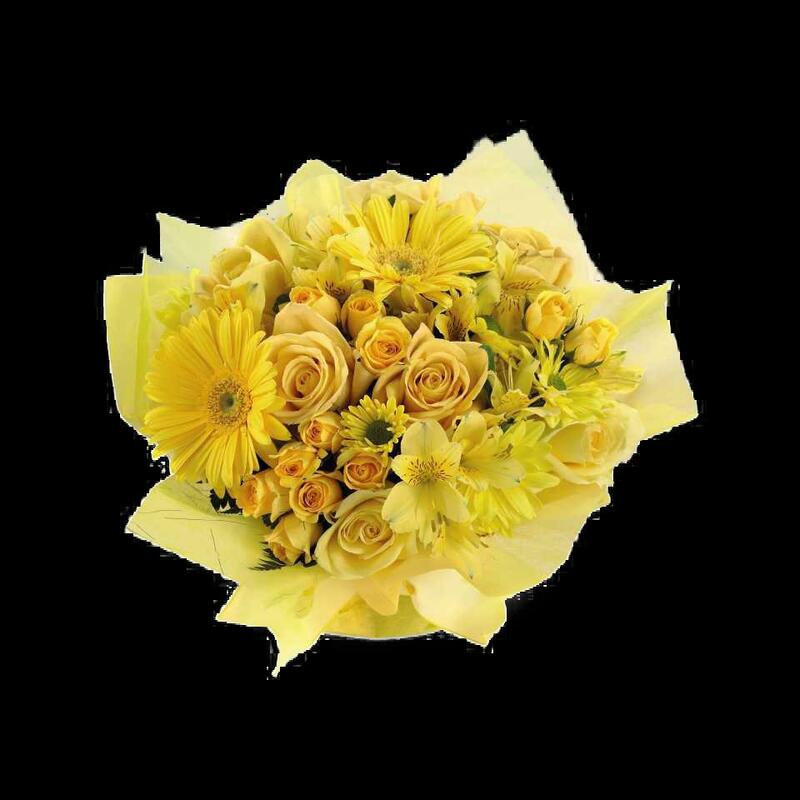 Roses, spray roses, daisy pompons, Gerbera daisies and alstroemeria are all dressed up in shades of yellow. We are a family-owned and operated flower shop serving the area for two decades. Since then, our vast pool of clients has entrusted us with their needs, from the exotic to the traditional; from the solemn to the celebratory.We use our creative skills and years of experience to arrange beautiful designs that perfectly match any occasion. Our dedicated and friendly staff is trained to provide exceptional service to suit every customer's taste and budget. We are constantly developing and updating our arrangement styles, and we're more than happy to take requests for designs as well. Call today, and let us add that special touch to your event with a breathtaking floral arrangement of your choosing.